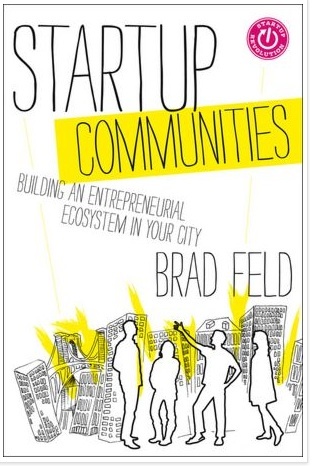 Feld describes the characteristics of those who want to be regional Entrepreneurial Leaders;they need to be committed to their region for the long term (20+ years), the community and its leaders must be inclusive, play a non-zero sum game, be mentorship-driven and be comfortable experimenting and failing fast. Feld is not a big fan of top-down government driven clusters. He contrasts the disconnect between entrepreneurs and government. Entrepreneurs are painfully self-aware but governments are chronically not self-aware. This makes government leaders out of touch on how the dynamics of startups really work. Governments have atop-down command and control hierarchy, while entrepreneurs work in a bottoms-upnetworked world. Governments tend to focus on macro metrics of economic development policy while entrepreneurs talk about lean, startups, people and product. Entrepreneurs talk about immediate action while government conversations aboutpolicy do not have urgency. Startups aim for immediate impact, while governments want to control. Startup communities are networked and don’t lend themselves to a command and control system. « Is the digital divide a defunct framework? Steve, I agree that Feld’s book is insightful. However, even though universities are only feeders, great research universities can play a material role in the development of a robust hyper-local innovation ecosystem (Hy-LIE). Moreover, research universities should step-up to playing a strong feeder role, because a robust Hy-LIE is not only beneficial to regional economic vitality, it is also a strategic asset to a university’s education mission, research enterprise, and competitiveness. For more information, check-out my recently blogged paper: http://ipira.berkeley.edu/sites/default/files/shared/doc/HyLIE_article_MCohen_v11c.docx .